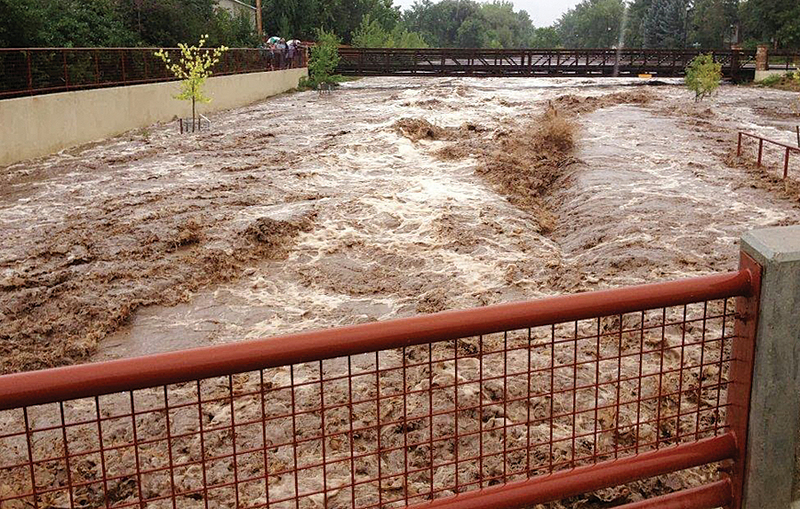 Streams and rivers surged, overrunning banks and affecting bridges and pathways throughout Colorado in September 2013. 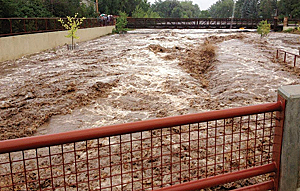 During September 2013, heavy rains and widespread flooding affected 17 counties and dozens of cities and towns in Colorado, causing $2 billion in damages as estimated by Eqecat, a catastrophe modeling firm. 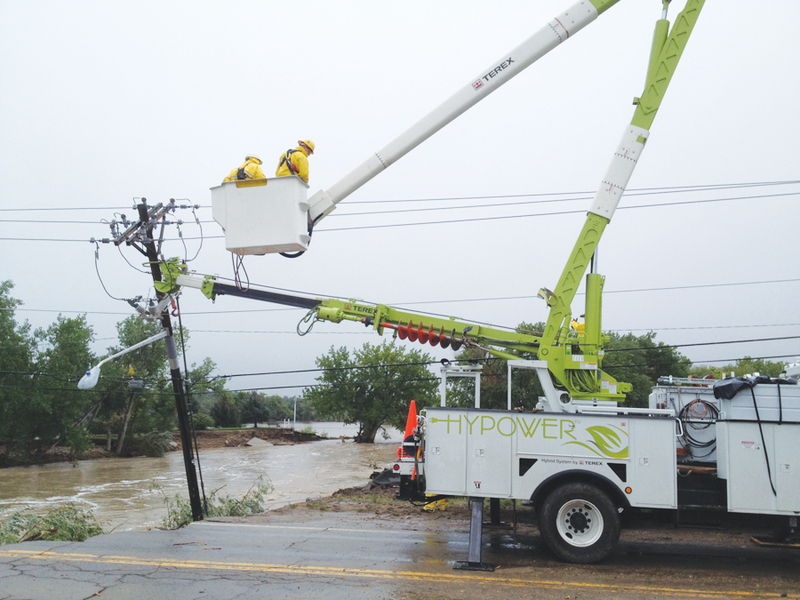 Longmont Power & Communications (LPC), a department of the City of Longmont, Colorado, was hit particularly hard by the flooding. Its service territory of 49 square miles covers the towns of Longmont, Hygiene, and parts of Lyons. 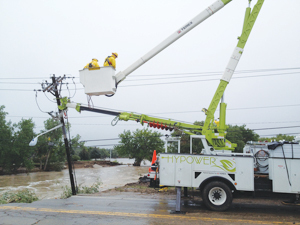 Flooding from Left Hand Creek and St. Vrain River damaged significant portions of the municipal utility's electric infrastructure and disrupted service for approximately 6,000 customers. While LPC was able to quickly restore power for most of the affected customers, 1,300 customers remained without power for approximately four days. During previous disasters, crews used paper maps, inspection reports, and custom handheld devices to perform field inspections. To reduce duplication of work, updates were only made at the end of the day and required specific search lists to be developed before dispatching crews. Electrical engineer Patrick Good was part of the team responsible for restoring power to these customers and repairing damaged infrastructure. Within days of the floods, LPC crews began repairing key infrastructure. "We realized that we were going to need a way to manage inspections so we could document the damage, estimate the cost of repairs, and monitor the status of repairs once we could access our assets," Good said. "We needed something we could quickly spin up that would help us with all of these tasks." 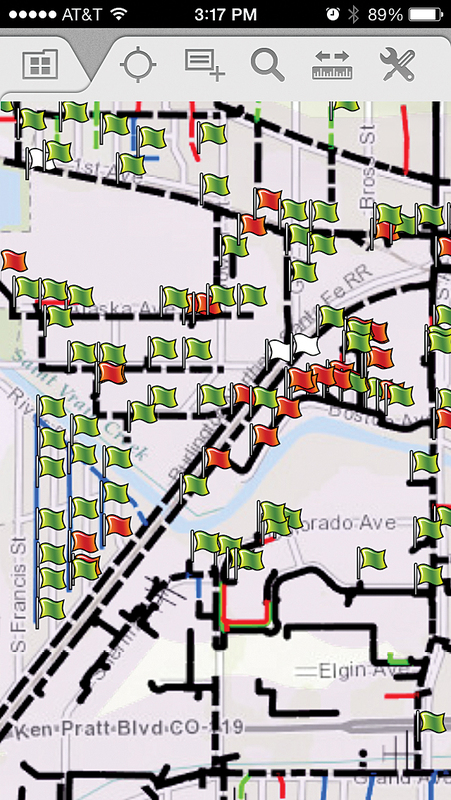 Although the City of Longmont had used ArcGIS for several years, LPC had only just begun using ArcGIS in July 2013. During a utility coordination meeting with Boulder County Emergency Operations Center personnel, Good saw a presentation featuring Collector for ArcGIS, a configurable app for smartphones and tablets that enables field data collection and syncs with online maps. Soon after the meeting, Good worked with Lisa Shertz, the city's senior GIS analyst, to deploy Collector for ArcGIS with LPC's meter technician group for testing. After streamlining the data capture form, the app was distributed to lineworker crews who immediately used it to inspect high-voltage equipment. Using tablets with built-in cellular connections and smartphones, crews were able to locate assets on the map and report conditions back to the main office. 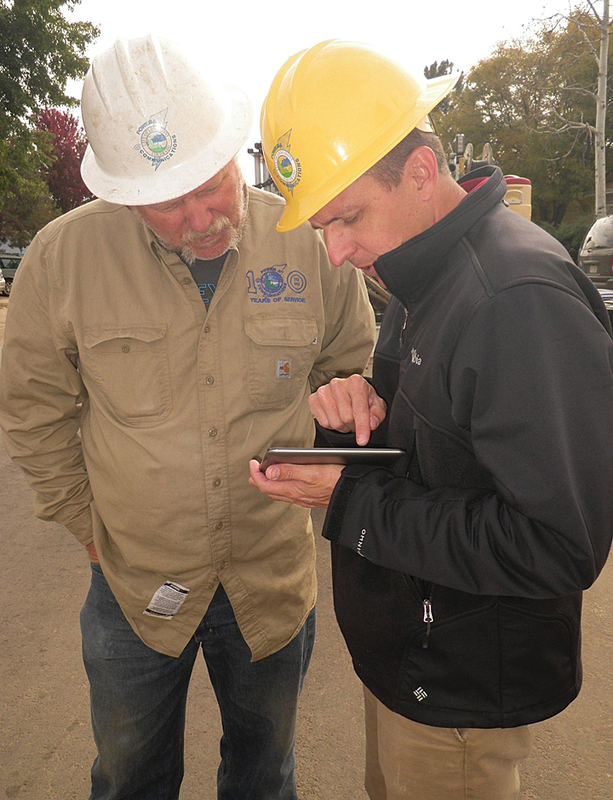 Longmont Power & Communications staff used Collector for ArcGIS in the field to rapidly inspect and record damaged assets after the flood. Collector for ArcGIS helped all field crews know what had been inspected and where to focus repair efforts. "Our linecrew foreman was really impressed by how detailed and clear the maps were and how easy the application was to navigate," said Good. "He's already asked for us to move our day-to-day system maps into Collector for use in the field." Reports from the field were fed into an online map that instantly updated on all the crews' devices. This let field personnel see what had already been inspected and allowed them to perform their work in smaller groups. In just three days, with little oversight, crews were able to complete inspections of all damaged assets. "With Collector and ArcGIS, we were able to leverage one GIS platform across many devices to quickly solve many different problems at a lower expense," Good said. For more information, contact Patrick Good, electrical engineer, Longmont Power & Communications.